Known as the ‘Venice of the East’, Alleppey is all set to get a port-museum at its beach. The museum will showcase Alappuzha’s rich heritage and history under one roof. 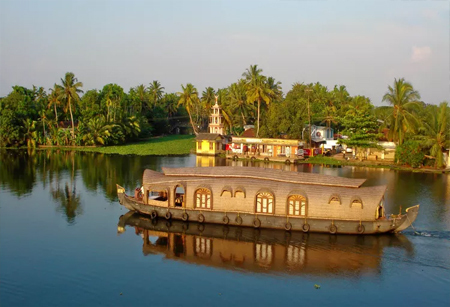 According to the news reports, the plan to build a port-museum in Alleppey is a part of the comprehensive initiatives to turn Alleppey into Kerala’s heritage tourism city. As a part of this project, the infrastructure of the city, such as the roads and bridges, will be given a makeover. Walkways and cycle tracks will be built along the lake banks. News has it that 50 old mansions will come under the protection umbrella as a part of the heritage project. Out of these mansions, about 20 will be turned into theme-based museums. These museums will comprise of financial and commercial institutions as well. However, the port museum is the primary highlight of the heritage conservation project. It shall depict the history of Alleppey port and its formation and growth as a port city. The museum will also display models of the boats and ships that visited Alleppey long, long time ago. Portuguese, English and Dutch model triremes, galleys, all kinds of ship models and Arabian style boats, will also be put up for public view at the upcoming port-museum. A ship will be anchored close to the sea bridge for good for the visitors. Different kinds of shipping boats and equipment used in Alleppey will be put on display at the museum.